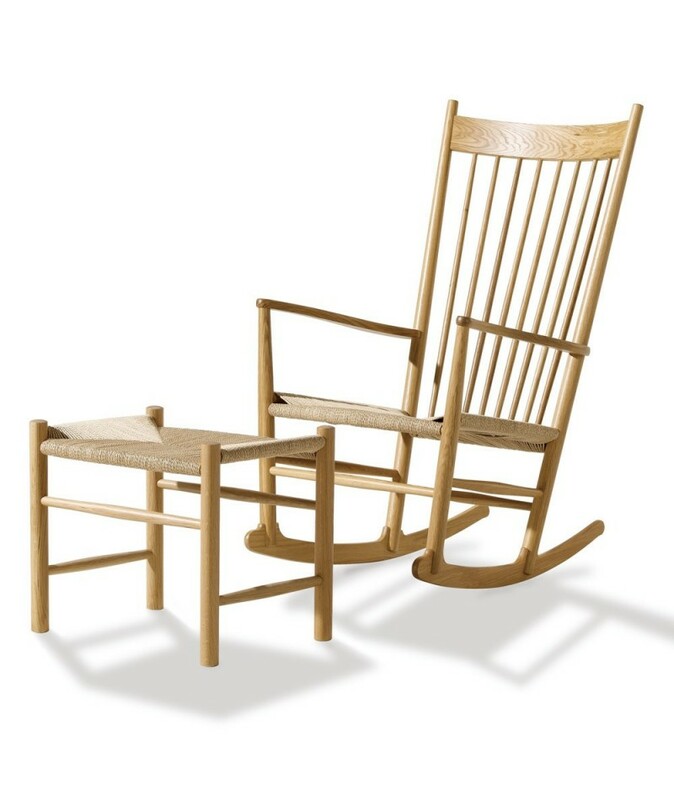 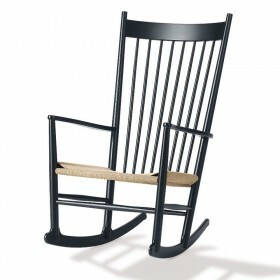 Designed by Hans J. Wegner in 1944. 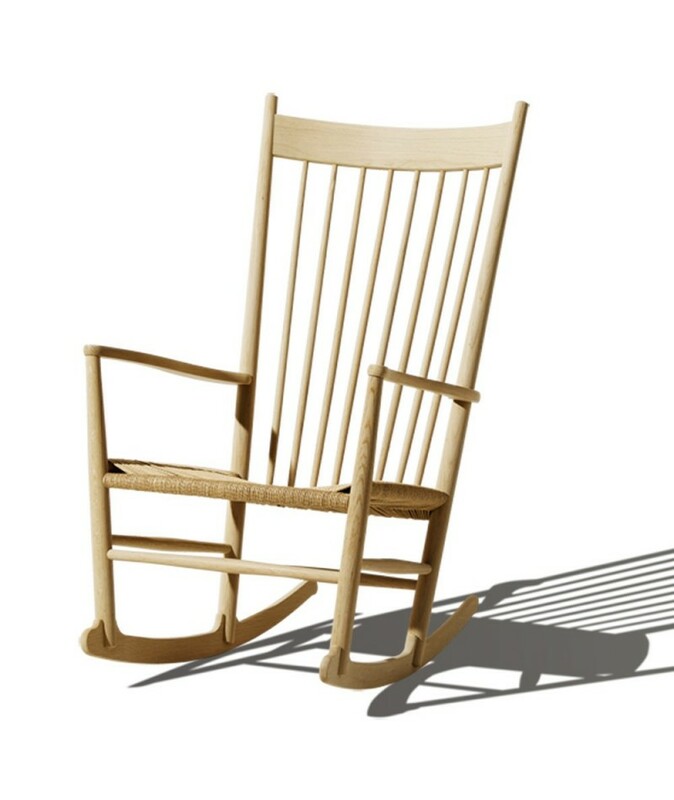 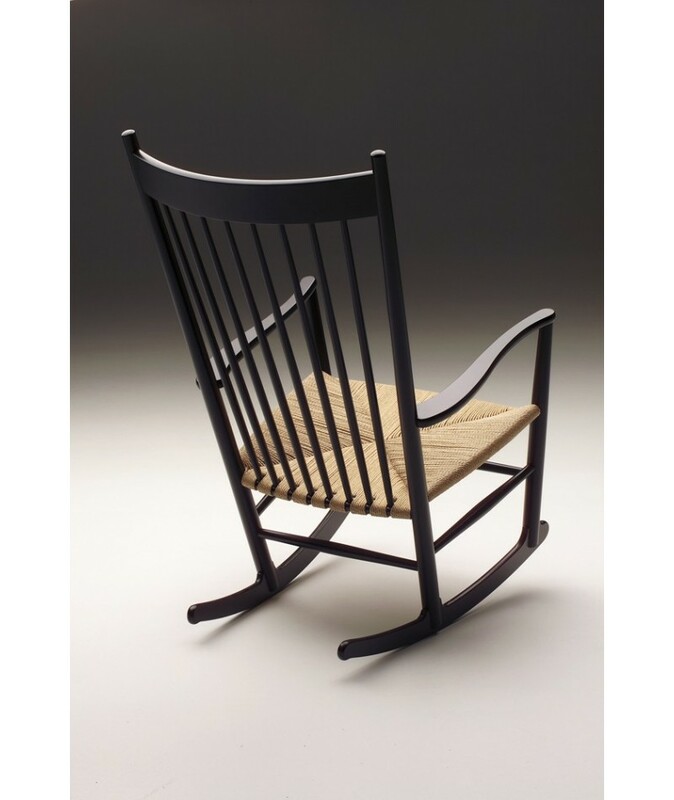 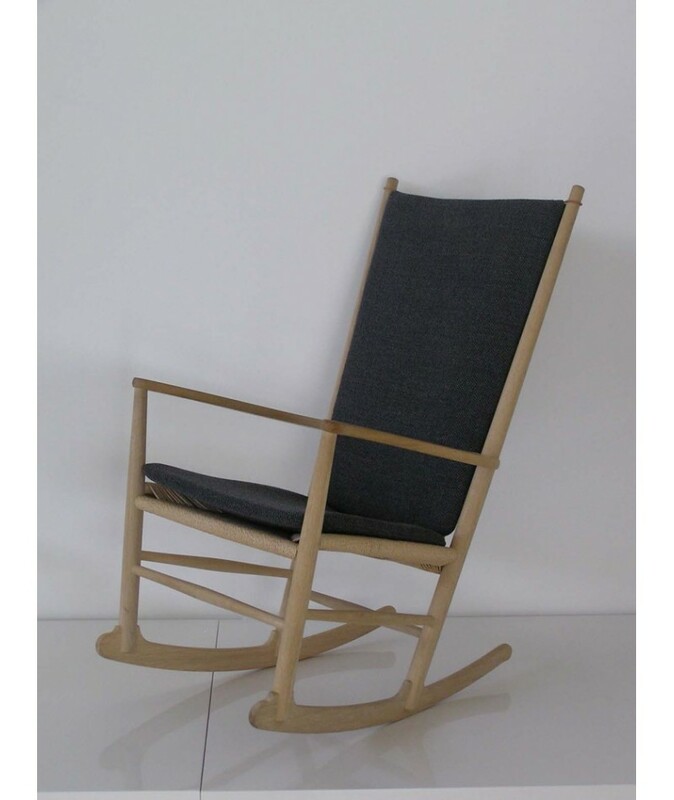 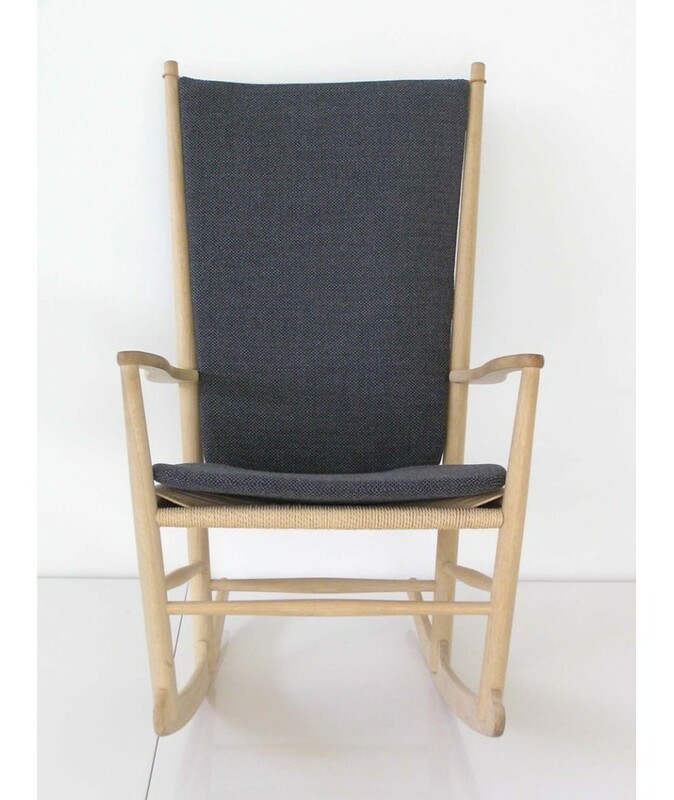 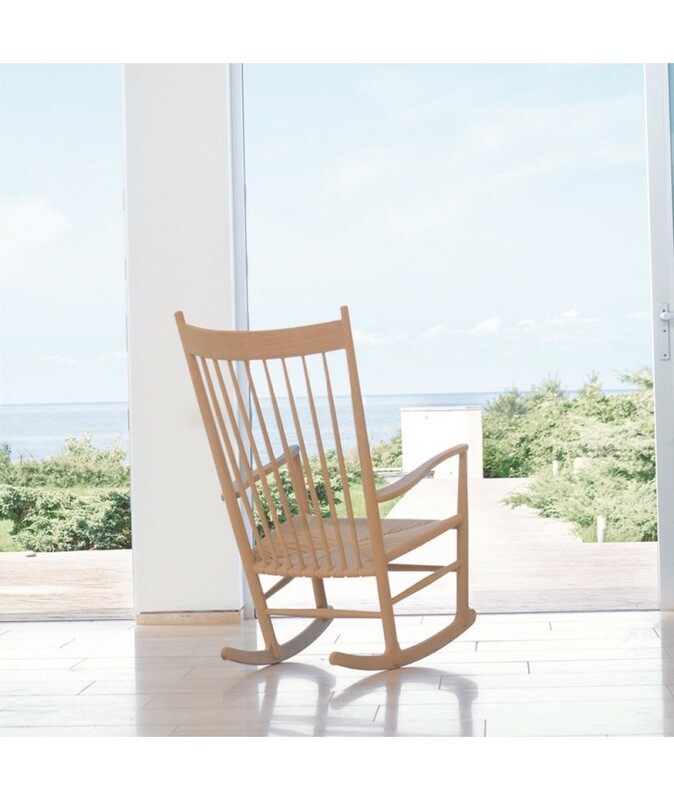 Rocking Chair entirely in solid wood, with seat in natural woven linen (beige). 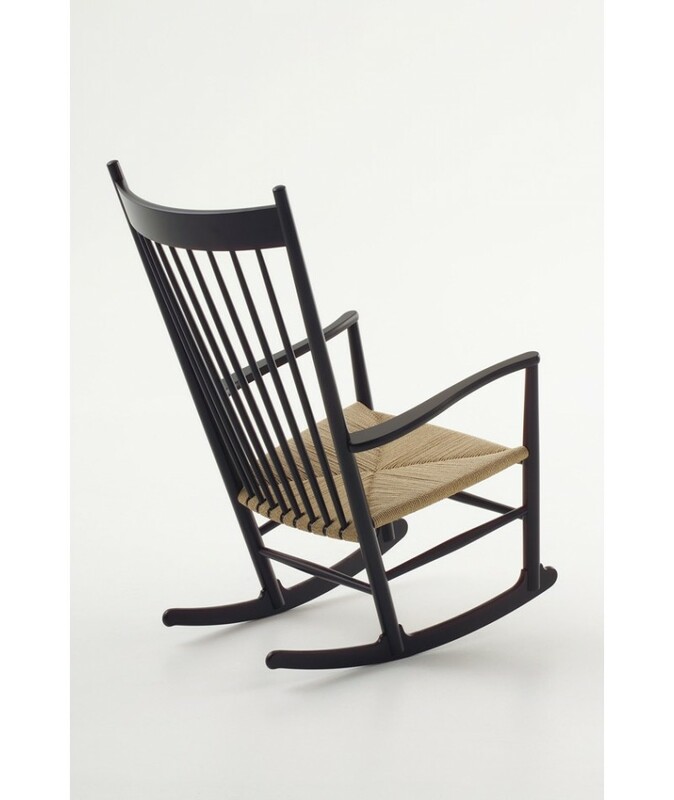 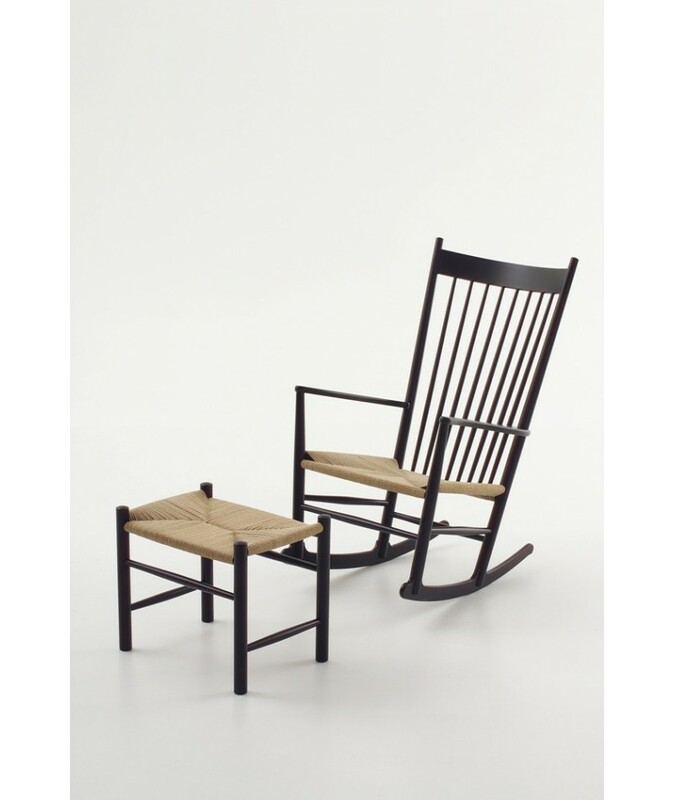 Designed by Hans J. Wegner, 1944. 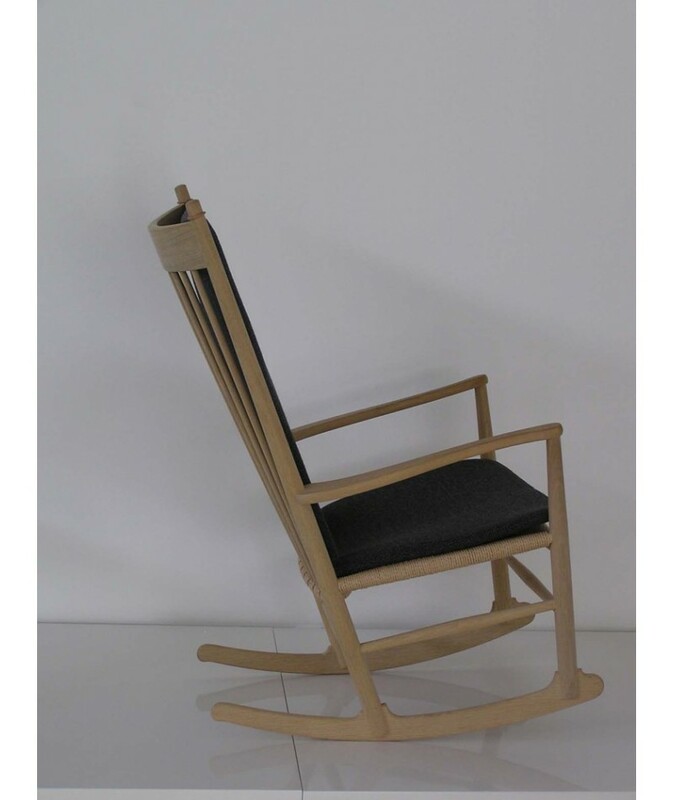 Rocking Chair entirely in solid wood, with seat in natural woven linen (beige). 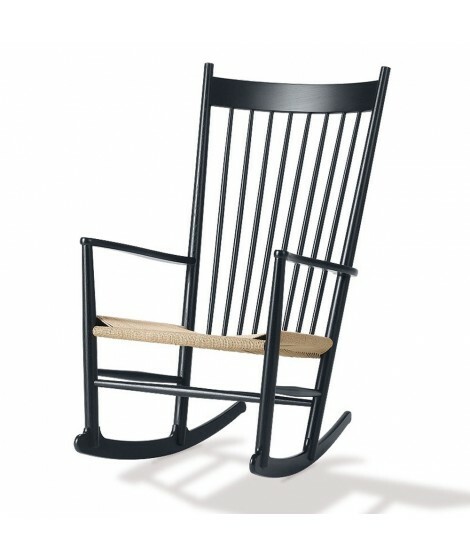 L93 * P63 * H107 cm, seated at 42 cm. 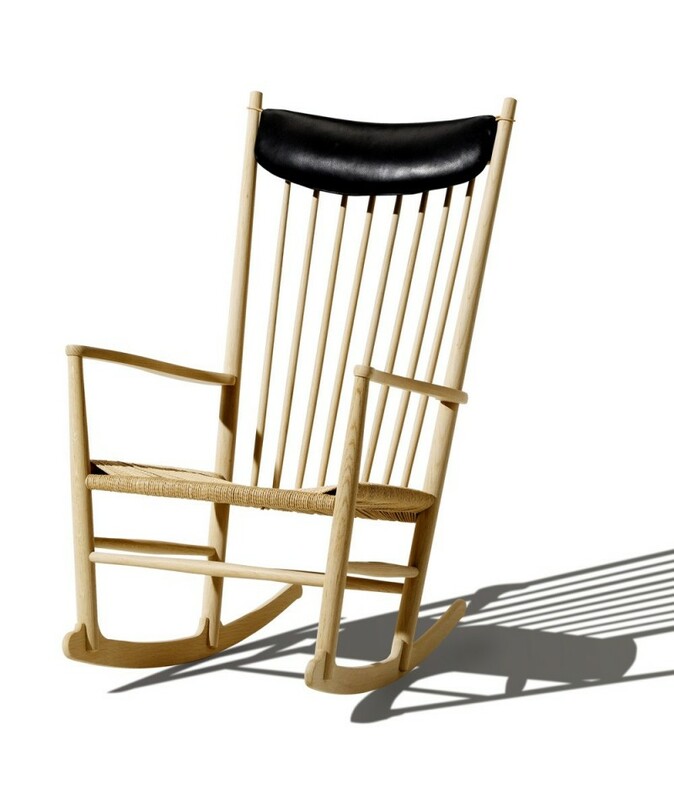 Untreated beech, lacquered beech, soaped beech, untreated oak, lacquered oak, soaped oak; lacquered black. 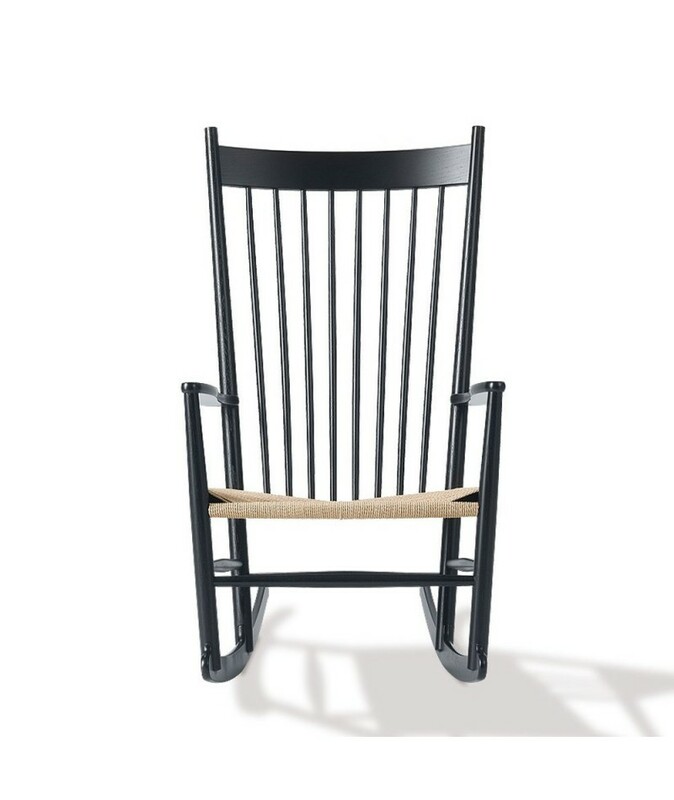 Black paper yarn for the seat.